Sailing regattas are a fantastic way for the community to band together over their shared passion for the sport. Passion for sailing runs deep in the veins of Sunsail, and the brand is proud to be the 2017 title sponsor of the popular Portsmouth Regatta. 60 entrants are already signed up to race at largest regatta in the Eastern Solent, which takes place on 17-18 June 2017. The event has always attracted a wide range of entrants, and with classes from day boat to IRC and Club class yachts, this year’s Sunsail Portsmouth Regatta is all set to continue its expansion. Sunsail UK Marketing Manager, Alexis Eyre, says: "We are thrilled to be title sponsor of this year’s regatta, and we’re certain it is going to be a great event. Supporting sailing in the UK is very important to Sunsail and collaborating with the Regatta Committee is a fantastic way for us to encourage new and experienced sailors to get out on the water. We can’t wait to join them throughout our UK summer events season and are certain that everyone taking part will have a fantastic time." The Portsmouth Regatta Committee has always encouraged the introduction of young people to the sport. This year the Sunsail Portsmouth Regatta’s official charity, the Portsmouth Sail Training Trust, will enter a number of young competitors, exempt from any entry fees. 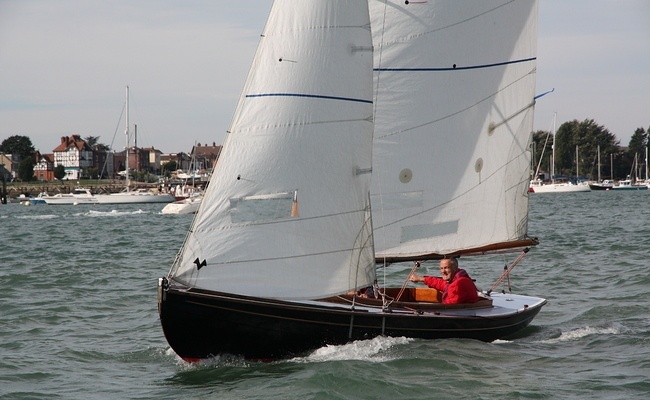 Adrian Saunders, event organiser and Commodore of the Royal Naval Club & Royal Albert Yacht Club, says: "As part of the development for building the racing circuit in the Eastern Solent, the regatta team are extremely pleased to partner with Sunsail. Promoting sailing, be it racing, cruising or day boats such as the Victory Class, is so important for the area. With the Sunsail fleet at the top of the harbour, the Clipper fleet in Gosport and Sir Ben Ainslie on our doorstep, we are very privileged. Great racing is forecast with over 45 boats taking part - the whole team are so very excited." Alongside two great days of racing, there will be a fantastic social event on the Saturday night and the Sunsail Portsmouth Regatta 2017 culminates in a prize giving on the Sunday afternoon.